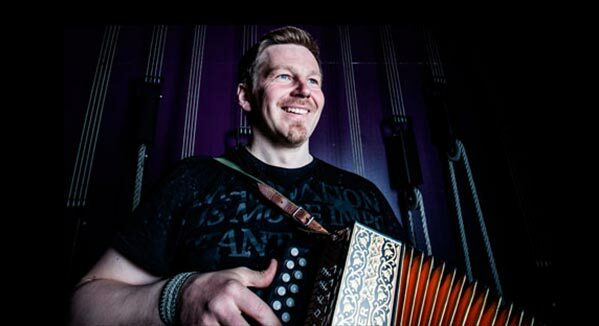 In 2013 Fredrik Hangasjärvi was appointed National Folk Musician of Sweden on accordion. Through his performance, he was the first national folk musician in history performing Tornedal songs. Since he became an ambassador for Kero, their products are an important part of his performance. 2013 Fredrik enrolled to play for the Zorn Badge in Tobo - Uppsala. During the week, a jury of senior folk musician experts designates who is allowed to proceed. Each performance remains 3-4 songs from the competitors region. - I played Tornedal songs performed with accordion in two-row melodeon. It was the first time I participated in the competition, I had no expectations whatsoever. For me it was all good fun. It is quite rare to be appointed the first time you participate, but for me it went well. I was really surprised and happy, it's really fun to be able to highlight Tornedalen this way, Fredrik explains. After Fredrik was appointed National Folk Musician of Sweden he contacted Kero and became an ambassador. In return, he was sponsored with both beak shoes and a leather shirt. Since then, Kero is a part of his stage attire. - If you come from Tornedalen, there is no attribute that indicates it better than Keros beak shoes. To me it’s natural to carry their products on stage. I grew up with their products, back then all people in my region had Kero-shoes, so for me their products gives a sense of home and belonging. I really appreciate that Kero takes charge of the old and traditional. I also like that they’re using reindeer skin for their products, that’s cultural preservation, Fredrik concludes.